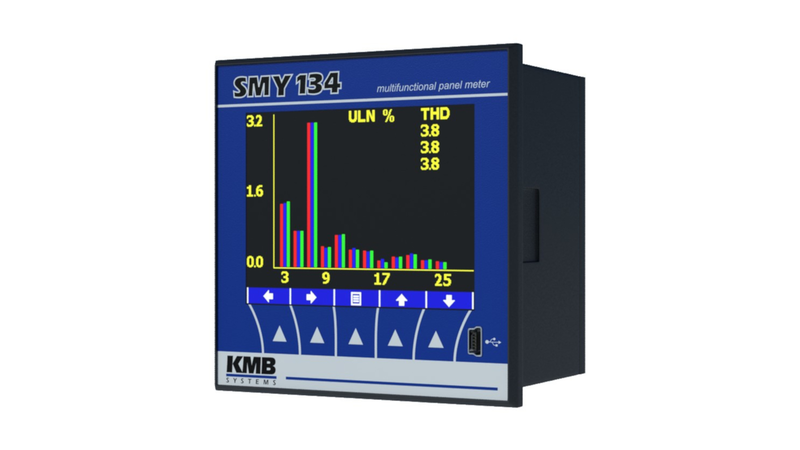 SMY 134 is an advanced 3-phase multimeter and data logger with ability of residual current monitoring. Instrument measures current in neutral wire with option to trigger alarm when overloaded. Aditional monitoring of two separate residual currents to detect any kind of leakage. It includes per-phase and three phase active energy meter with separated generation / consumption readings and reactive energy, measured in all four quadrants.